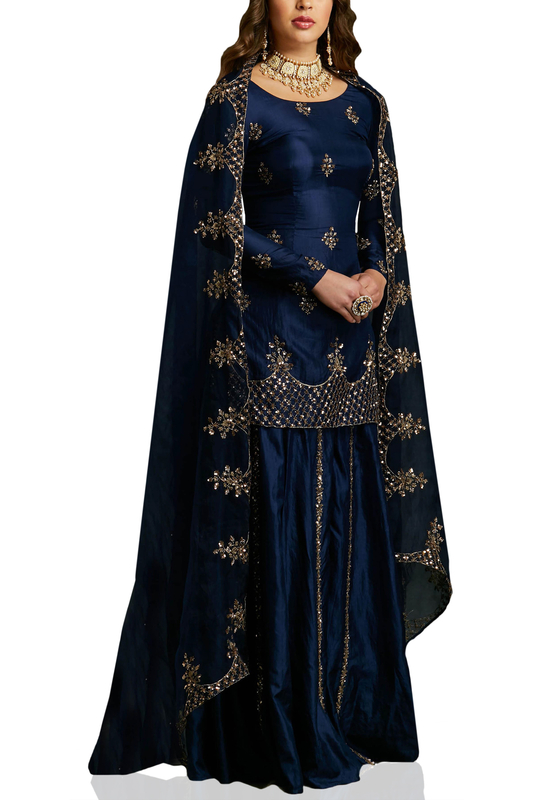 Navy blue sharara set designed by Astha Narang at AASHNI+CO. 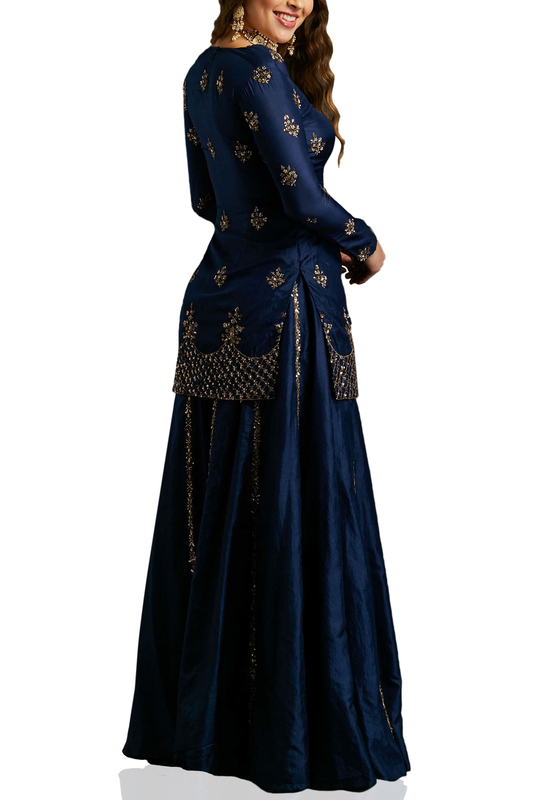 Astha Narang brings a fusion of traditional silhouettes and modern aesthetics featuring a navy blue embroidered kurta paired with flared pants and a dupatta. Style the look with gold jadau jhumkis and maang tikka.